Wat is dit voor site? Wij zoeken de goedkoopste boeken op internet. 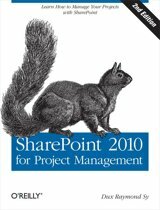 Project Management for Mere Mortalsvonden we het goedkoopst op Bol.com voor €28.99. We hebben gezocht in nieuwe en tweedehands boeken. Rechtsonderaan de pagina kan je het boek direct bestellen	via Bol	.com. 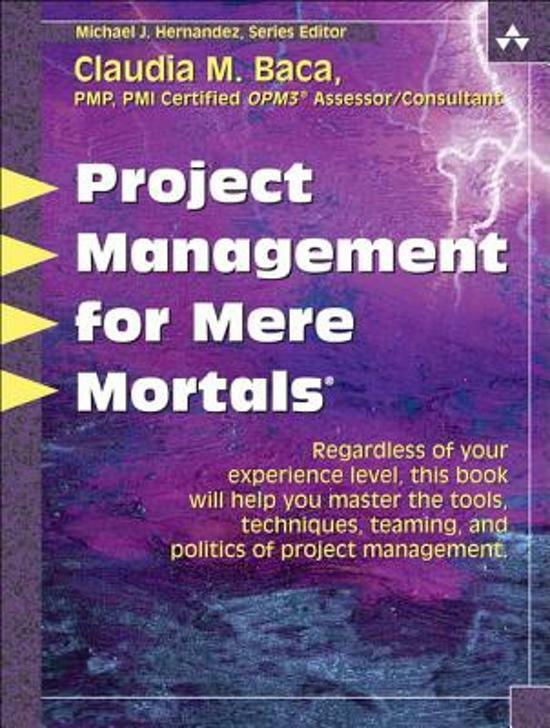 Project Management for Mere Mortals® strips away the myths and mysteries of effective project management, giving you the skills, tools, and insights to succeed with your next project—and every project after that. Long-time project manager and trainer, Claudia Baca, walks you through all five process groups of project management: initiation, planning, execution, monitoring and controlling, and closing. 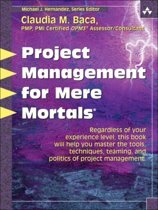 Baca examines each process group from the perspectives of the working project manager and team member, highlighting the organizational issues most likely to arise and offering proven solutions. For each process group, she presents tools you can start using right now—and demonstrates those tools at work in a realistic running case study. 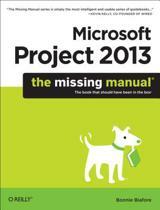 • Intelligently assess quality goals, and decide "how good it has to be"